Is there a better alternative to Shogi Demon? Is Shogi Demon really the best app in Card and Board category? 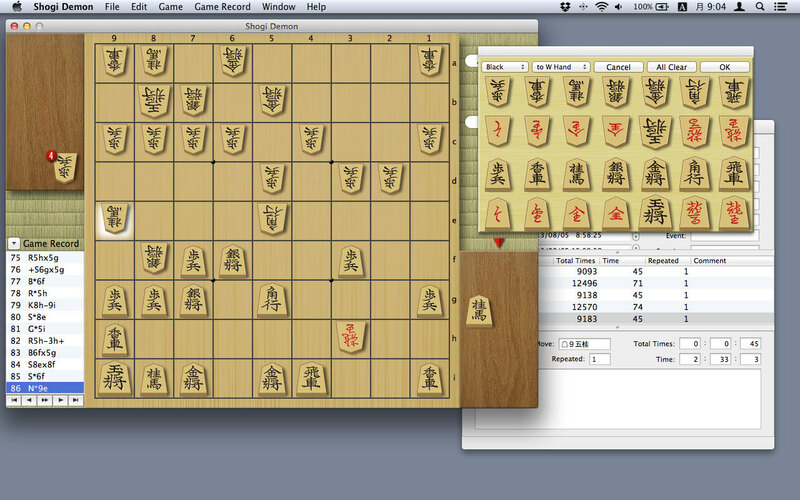 Will Shogi Demon work good on macOS 10.13.4? The difference between Shogi Demon and regular chess is that the player is allowed to reuse the pieces captured from the opponent for themselves. With exceptions to the King and the Gold, any pieces that enter the zone of the opponent can be turned over to increase their range of movement. Positioning 2 or more Pawns on a vertical line is not permitted if the Pawns are not turned over. Also, although it is possible to put a King in mate with your own Pawn, it is not permitted to put a King in mate with a Pawn captured from your opponent. This is because such act is an insult to the King. Shogi Demon needs a review. Be the first to review this app and get the discussion started! Shogi Demon needs a rating. Be the first to rate this app and get the discussion started!